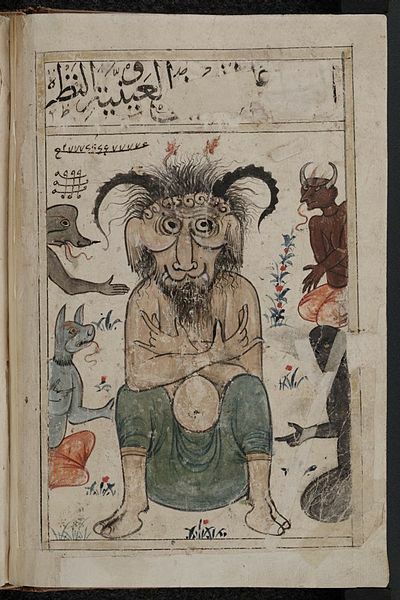 The Kitab al-Bulhan, or Book of Wonders, is an Arabic manuscript dating mainly from the late 14th century A.D. and probably bound together in Baghdad during the reign of Jalayirid Sultan Ahmad (1382-1410). The manuscript is made up of astrological, astronomical and geomantic texts compiled by Abd al-Hasan Al-Isfahani, as well as a dedicated section of full-page illustrations, with each plate titled with “A discourse on….”, followed by the subject of the discourse (a folktale, a sign of the zodiac, a prophet, etc. ).